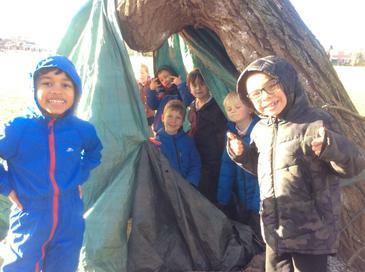 We are a Year 2 class and our teachers are Mrs Ganguly (Monday, Tuesday, Wednesday and Friday) and Mrs Norton (Thursday). Mrs. White also helps us in the classroom sometimes. 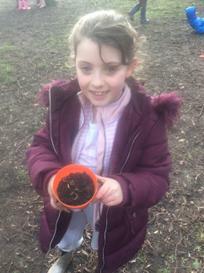 As usual, there's a lot happening in Asters class! 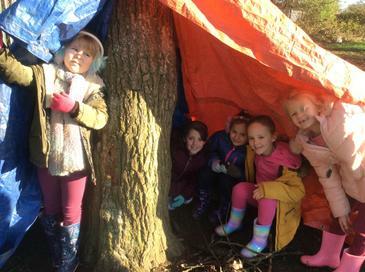 The children enjoyed the Robinhood themed week and took part in different activities. 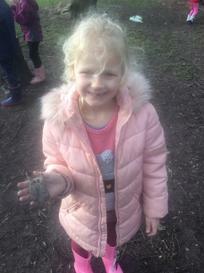 The Church trip was also enjoyed by all children and thank you to all the parents for helping out with the trip. 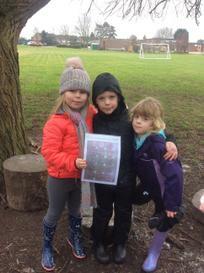 We are now using Class Dojo as a method of communicating with parents. If you haven't yet signed up for it, please do so, as we will be using it to let you know about homework and other important information. Our trip to the Church on the 12th of April, 2019 for an 'Easter experience'. We will be going in 3 groups. 1st group of 10 with Poppy class -9:30-10:30 at the church. 2nd group of 10 with Bluebell class- 10:45-11:45 at the church. 3rd group of 10 with Sweetpeas class- 1:30-2:30 at the church. 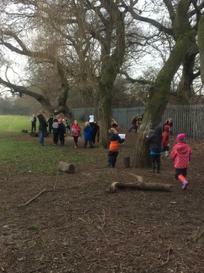 Thank you to all the parents who have volunteered to help out. We still need some more helpers and I will really appreciate your help . We do PE on Tuesdays (outdoor) and Thursdays (indoor). We are starting a new spellings format in the next term. Please see the Spring 2 spelling list below. 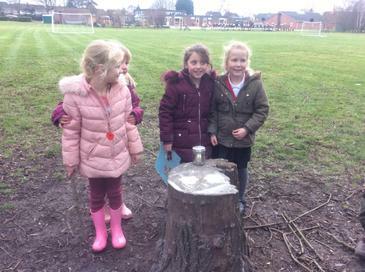 Many thanks for your support with our introduction of Spelling Shed - we can see that there are lots of children who have been playing the spelling games at home. Next week we will be sending home a new spelling list for the next half term. This will be in a new format, with a list of 10 words focusing on a specific 'spelling rule'. This will match our Spelling Rules teaching, and will also tie in with the Spelling Shed games, as we will set up the games with each week's word list. We are hoping this will be easier to support at home, and will also give children the opportunity to learn each spelling rule in greater depth. 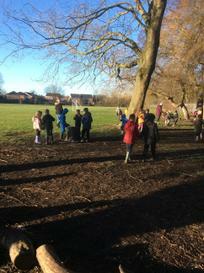 Year group challenge - at the end of every half term - extra playtime for the class with the highest score. If you have any questions regarding this, please feel free to contact me. MyMaths homework is set fortnightly. Please support your child with Spelling practise and learning Times Tables. Children will be heard read on a 1:1 basis at least once every two weeks and once a week in a guided group with an adult. If the children have read their book twice then they need to do a quiz on the 'Accelerated Reader' before changing their books.Reading remains an important part of the children’s learning and we do ask that children read as often as is possible at home. Children that read 3 or more times each week will have their names moved up the chart which gives them a merit. 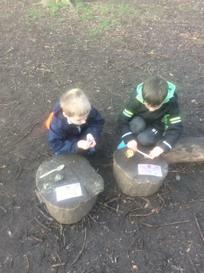 As part of the robinhood week we took part in lots of different activities. We really enjoyed the medieval banquet. 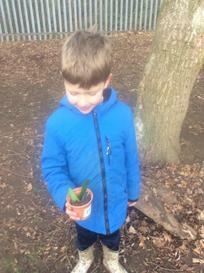 We have been learning all about the Aztecs and how clever they were with technology. We went back in time to the 16th century and made sunstones just like the Aztecs. 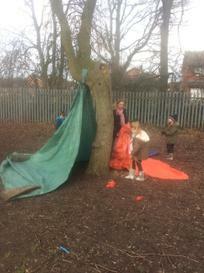 Then we tested it outside and tried to see if we could read the time. What we did last term!!! We had lots of fun performing our Chinese song to the school on Wednesday, and to our families on Thursday! Ling accompanied our class with her beautiful Chinese music, and we really enjoyed watching Poopy perform the dragon dance! 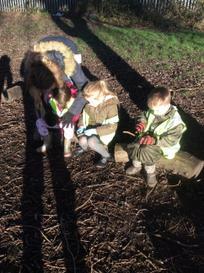 The children really enjoy their forest school sessions every Thursday. 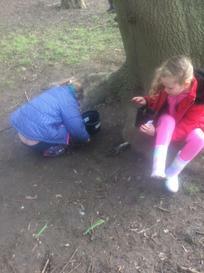 They enjoyed playing hide and seek games to warm up then being a detective to find the hidden animal discs. 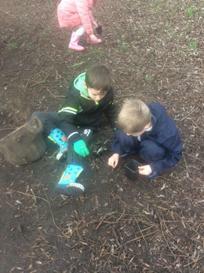 They work in small groups/pairs to to lots of activities using all of the natural materials.